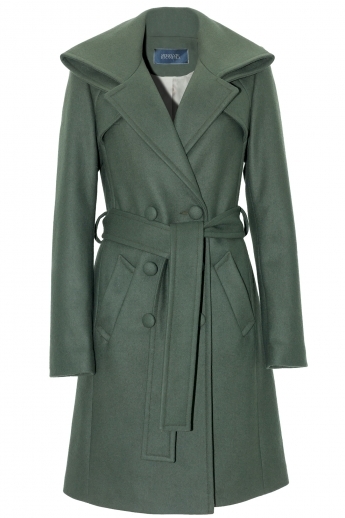 A beautiful double breasted coat in dark green wool and cashmere, a long belt and a particularly original high collar. Modulable to the envy, maxi collar all in volume, or collar enveloping or folded for a more discreet look. Not to be missed for the arty-fashionistas in search of the rare and couture piece. Stefanie Renoma : designs for you a rare collection made ​​entirely by hand. Structured, chic and easy to wear creations made ​​of quality materials and comfortable borrowed from menswear.